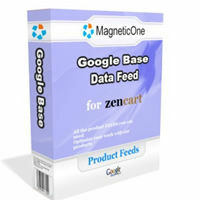 Zen Cart Google Base Data Feed is Zen Cart contribution which would help you export easy your products into Google Base engine. What is Google Base? Google Base is a place where you can easily submit all types of online and offline content, which we'll make searchable on Google (if your content isn't online yet, we'll put it there). You can describe any item you post with attributes, which will help people find it when they do related searches. In fact, based on your items' relevance, users may find them in their results for searches on Froogle, Google Maps and even our main Google web search. The main benefits for content providers are threefold: ... Popularity: Google Base is one of the most popular product search engine from Google.com company ... Free content hosting: you cam place your products in Google Base for free ... Distribution: Google Base enables content previously not found on the web to be more accessible and useful ... Ease in use with several click to get success! 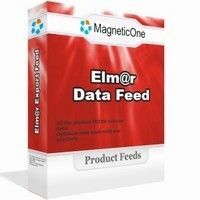 Main features: ... easy to use and configure ... multilanguage support ... multicurrency support ... ability to export only selected categories ... ability to include/exclude products marked "out of stock" ... ability to include/exclude products with zero quantity ... capability to include/exclude products with zero price ... capability to strip HTML from Product Names ... capability to strip HTML from Product Descriptions ... capability to set default shipping cost ... ability to limit number of products exported ... ability to set currency that is used during export ... ability to customize name of the export file ... inline text recommendations for fast initial configuration ... ability to automatically upload feed via FTP ... ability to send feed via email ... third party sales channel tracking (Google Analytics, WebTrends, ... OneStat, 123LogAnalyzer, Netmining etc) ... optional GZIP compression of feed contents ... and many more.